Do I have to make an appointment to be seen at the health department? Yes, call 704-986-3099 to make an appointment. Can I make an appointment for my child? My friend? Due to HIPPA regulations, you can make an appointment for yourself or minor child, but not for a friend. Proof of household income, identification and Medicaid/Medicare card, cash, check or credit card. Patients call in for an appointment and are given one within five (5) working days. Open access is not available for the Dental Clinic or WIC Program. What is a sliding scale fee? Clinic fees are based on the patient’s household income. Clinic fees are reduced for those with less income. Do you accept health insurance at the health department? No, private health insurance is not accepted at this time (except in the Dental Clinic). Medicaid, Medicare, Health Choice, cash, checks and credit cards are accepted. However, we can provide a bill for the patient to file with his/her insurance company. Does the health department offer sports physical to youth? Are there interpreters for Spanish-speaking patients? Yes, two Spanish interpreters are available at the health department. Are only people with low incomes able to get services at the health department? No, most services are available to all Stanly County residents. The only programs that have income limitations are the Women, Infants & Children (WIC) Program; Breast and Cervical Cancer Control (BCCCP) Program; Care Coordination for Children (CC4C) Program and Pregnancy Care Case Management. Since you are the health department, why do you charge for your services? Sources of funding for health department programs and services include Federal, State and local monies as well as grant funds. These sources of revenue do not cover the complete cost of providing these services and programs, so patients/clients are charged fees. 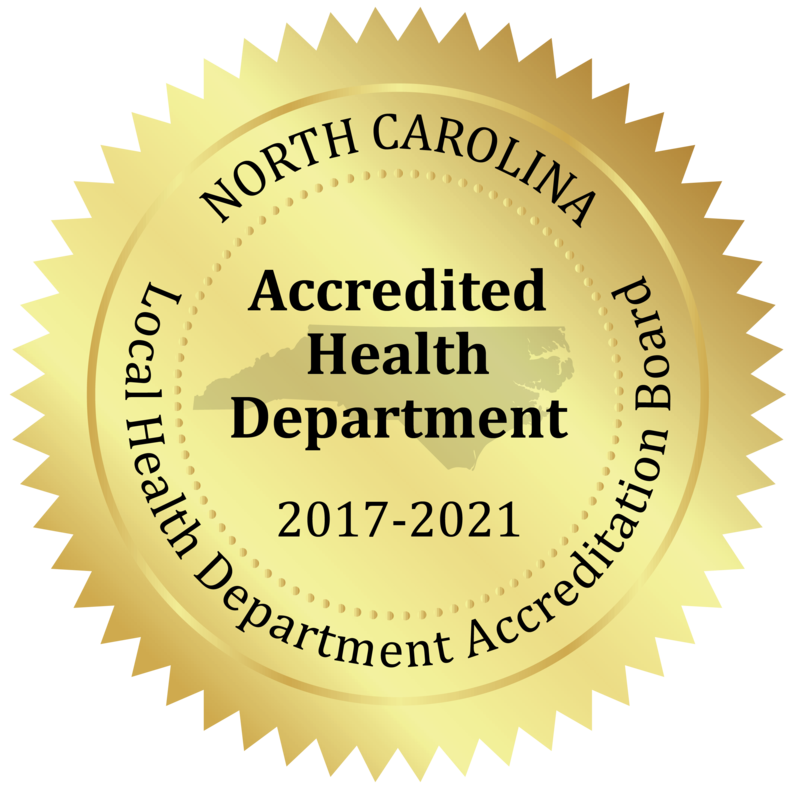 Do you have to live in Stanly County to receive health department services? No, some services are available without a residency restriction. These services are Family Planning Clinic, General Clinic, STD Clinic, Communicable Disease, TB and Adult Health Clinic. Does the health department offer pregnancy testing? Yes, pregnancy testing is offered Monday-Friday from 8:00am. Is there a fee for family planning services? Patients 18 years old and younger are not usually charged for receiving family planning services. Those over the age of 18 are charged according to a sliding fee scale. What methods of birth control are available from the health department? Contraceptives available at the health department include birth control pills, condoms, depo provera, diaphragm, implantable rods and IUD. How much do immunizations cost at the health department? Recent State budget cuts have forced the health department to charge for vaccines that are not considered universal. The cost of the vaccine depends upon the actual type of vaccine and/or the family income. Where do I get information about immunizations required by the State? Click on North Carolina Immunization Branch for this information. How do I obtain a copy of my own or my child's immunization record? Call the health department at 704-982-9171 to request a copy of your or your child’s immunization record. Who can sign for a minor's immunizations? When/how often does an adult need the pneumonia immunization? A pneumonia immunization is recommended after 65 years of age. Your healthcare provider may recommend that you receive it before 65 if you have certain chronic health problems, such as diabetes or lung disease. If you receive it before 65 years of age, only two (2) doses are needed in a lifetime. Where can I find out about immunizations that are required when travelling overseas? There are various clinics in North Carolina that provide vaccines for travel outside the United States. These clinics have the most up-to-date information on immunization requirements at the time of travel. The closest location to access this service is Cabarrus Health Alliance. Can I get head lice treatment for my child at the health department? Head lice treatment is not provided at the health department. Parents or guardians are given names of over-the-counter medications and non-chemical treatment options. What brand of condoms do you give at the health department? Life Style ultra lubricated condoms are available free of charge at the health department. A person can obtain eight (8) free condoms by asking the receptionist at the front desk for them. Please note that the number and manufacturer of the condoms are subject to change. What sexually transmitted diseases does the health department provide testing? Does the health department offer confidential HIV antibody counseling and testing? Yes, confidential testing is available Monday-Friday from 8:00am-11:30am and 1:00pm-4:00pm. Does the health department offer anonymous HIV antibody testing? No, only confidential HIV antibody testing is available at the health department. Why does it taker so long to get test (pap smear?HIV) results? This delay is due to the large number of tests the State Lab of North Carolina receives each day.